Following Raimond Kaljulaid's announcement on Friday that he was quitting the Centre Party to sit as an independent MP at the Riigikogu, also running as an independent in the European elections, comment on Mr Kaljulaid's actions and the situation Centre finds itself in has followed from two prominent members. 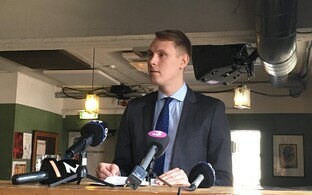 Centre deputy chair Jaanus Karilaid (note the similarly-spelled surnames) said that Mr Kaljulaid, who voiced his opposition to the party's coalition talks with the Conservative People's Party of Estonia (EKRE), had misled both party and voters in leaving. "Kaljulaid's leaving the party and its parliamentary group did not come as a surprise to anyone, but with this step he has misled his voters, his former home party as well as himself," Mr Karilaid said in a press release quoted by BNS. Mr Kaljulaid must take into consideration the fact that he ran in the number one spot in his district in North Tallinn, and that Centre had supported this with time and money. "Despite what he may think, many of the votes cast for him were an expression of support to the party and our objectives, not to him personally,'' Mr Karliaid went on. ''Leaving a day after the composition of the Riigikogu starts work sadly shows very clearly that talk about principle and ethics in recent weeks has been only a facade to fulfill his political ambitions," he continued, noting that while he did not expect this to happen, Mr Kaljulaid should indicate honest actions behind the rhetoric, and quit parliament. The XIV Riigikogu convened on Thursday. 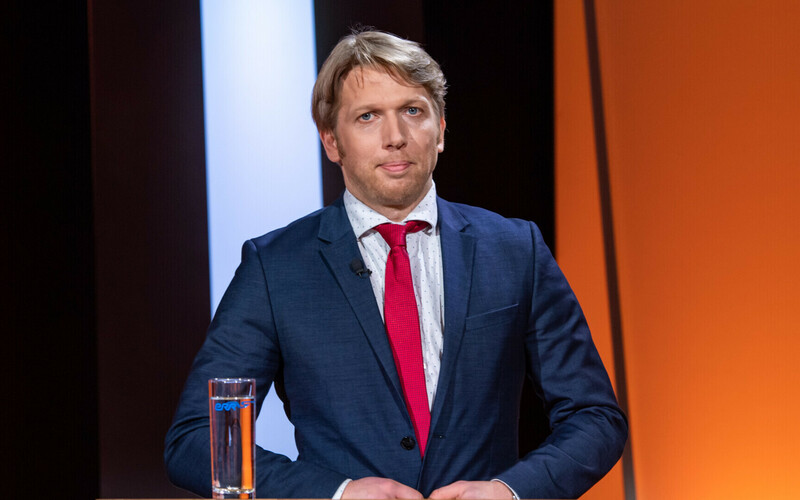 Due to the alphabetic order which Mps seating plans follow, Mr Kaljulaid found himself the new desk-mate of Ruuben Kaalep, an EKRE MP with a long history of involvement with far-right and even neo-Nazi groups, according to an Eesti Ekspress reportage. The Centre and EKRE talks, which also included Isamaa, went on for much of the month following the 3 March general election, but no concrete agreement has been signed or made public. Moreover, President Kersti Kaljulaid nominated Reform leader Kaja Kallas as prime ministerial candidate on Friday. Ms Kallas must now form her own coalition lineup, which will then be voted on by the Riigikogu within the next two weeks. Mr Kaljulaid is the current president's half-brother. "With today's decision, Kaljulaid essentially said that he does not care if and in what way the Centre Party will be able to continue to stand for balanced regional development, increases in welfare , agricultural development, and a good-quality healthcare system, as the prime minister's party. Taking Centre votes and sitting by the window only brings joy to the Reform Party," Mr Karilaid went on. 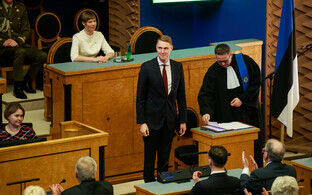 The window seats refers to that section of the Riigikogu where independent MPs sit. Towards the end of the XIII Riigikogu session, there were around half a dozen such members, including Urve Palo, formerly of SDE, and Artur Talvik, formerly of the Free Party (neither sits in the XIV Riigikogu). Thus the Riigikogu has gained on window-sitter already, and Mr Kaalep has lost a deskmate after one day. Meanwhile Centre co-founder and former Tallinn mayor Edgar Savisaar said that the party's Russian-speaking MPs alone could nix the Centre/EKRE/Isamaa coalition. "I heard comments that Russian MPs have no chance to stand against the coalition ... This was allegedly claimed by (Centre MEP) Yana Toom," Mr Savisaar wrote on social media, according to BNS. However, Mr Savisaar does not agree. "The Russian [Centre] MPs have exactly as many votes as are needed. The Riigikogu's Centre Party group has [Igor] Kravtšenko , [Mihhail] Stalnuhhin, [Maria] Jufereva, [Martin] Repinski, [Aleksandr] Dmitrijev and [Mihhail] Korb. Let's add [Raimond] Kaljulaid and that gives uys seven people whose votes decide whether this coalition will come to pass or not. And [Yana] Toom as an additional vote. One must learn to count to seven!" Mr Savisaar noted. Yana Toom ran for Centre in the general election and clinched a seat in the Ida-Viru County district as expected, but has since announced she will not take up the seat, choosing to run for the European elections again instead (Ms Toom is a sitting MEP). The Centre-led coalition would have 57 seats, six clear of the 51-seat majority at the 101-seat Riigikogu. The majority is not mandatory, but in practice it is desirable in order to get the coalition passed through the Riigikogu vote successfully, not to mention later issues in passing legislation etc. 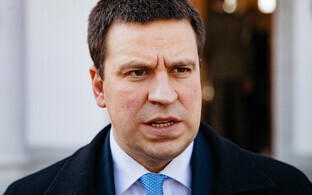 In any event, Jüri Ratas has not been name prime minister – Kaja Kallas has. If any coalition agreement Ms Kallas lines up passes the Riigikogu vote, all bets are off for Centre. At present, Ms Kallas has only made overtures to the Social Democratic Party (SDE), the smallest party in terms of seats, and one which had reached out to Reform a few days after the election, when the latter had been rebuffed by Centre. Reform has ruled out working with EKRE, but a Reform-SDE coalition would only have 44 seats, well below the majority noted above. On the other hand, if Mr Savisaar's named seven all voted, and assuming all Reform and SDE MPs voted for their own coalition, it would pass.